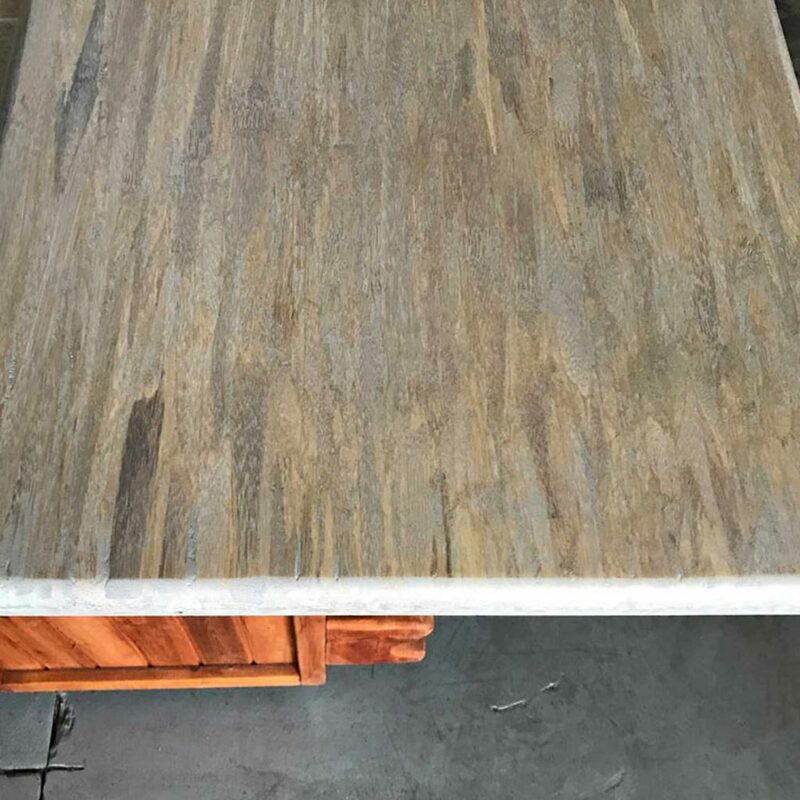 GRASSBuilt Bamboo Counters: Comprised of slabs measuring 48″ x 17.5″, these counters can be highly customized with stains, finishes, thickness and edge treatments. Perfect for furniture, kitchen counters, bar counters and more. 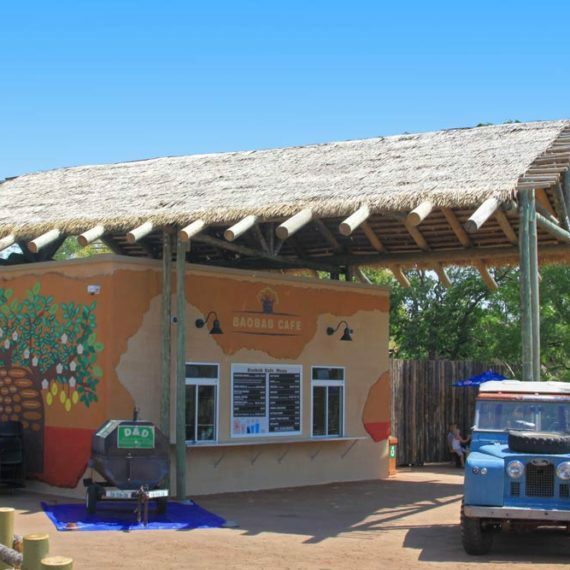 Call us with your next project ideas, and let’s see if Safari’s ‘GRASSBuilt‘ counter tops are right for you. 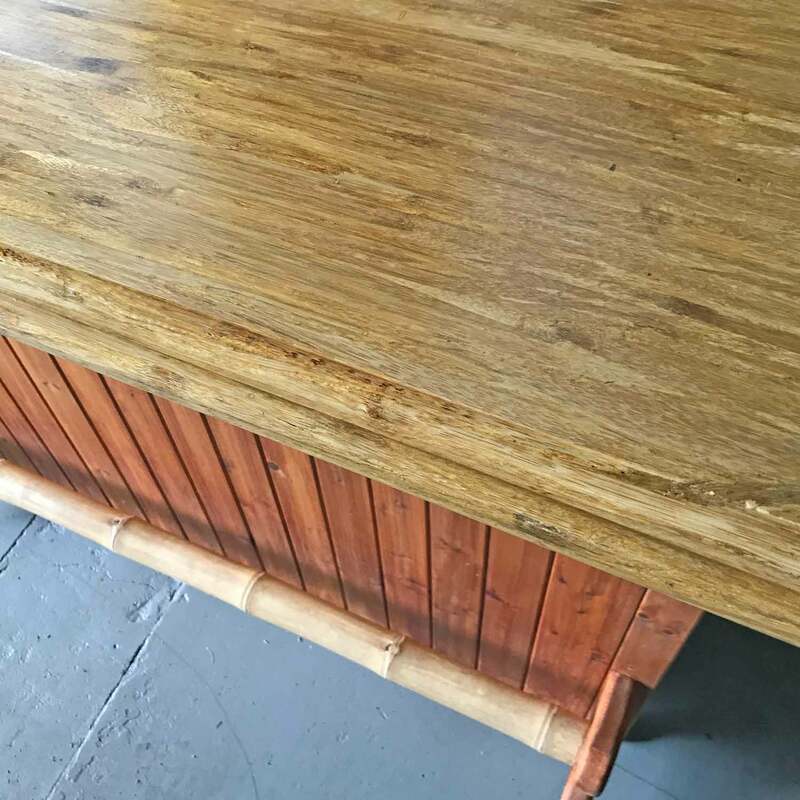 Appearance: Apart from the beautiful and distinctive grainular pattern of the GRASSBuilt material, the materials appearance is almost entirely up to the customer. 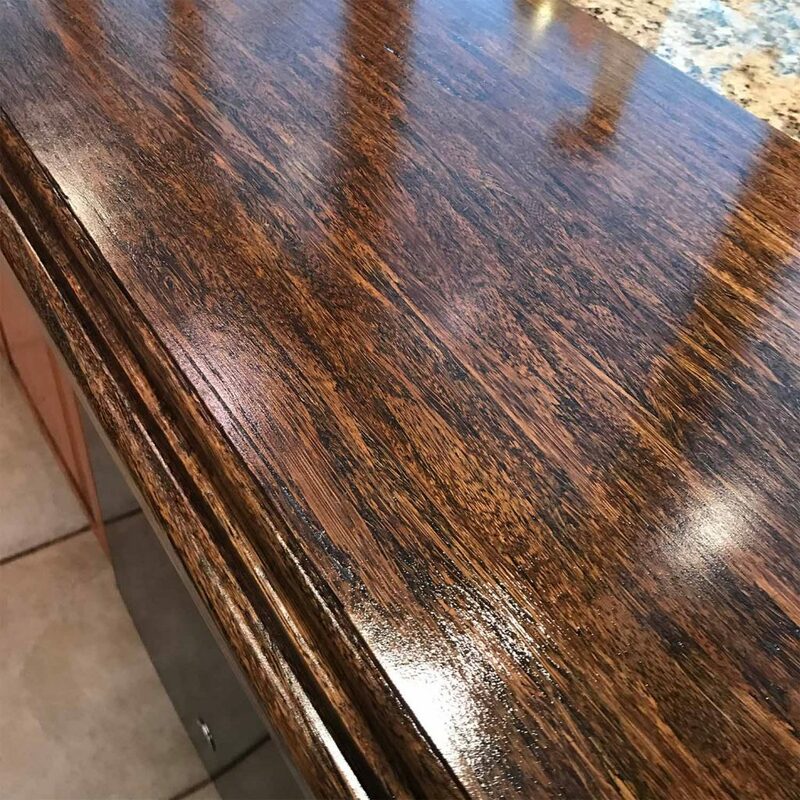 Custom stains, finishes, edge treatments, and thicknesses are all standard options. Grade (Int. vs. Ext. ): Interior (although very soon we will have a certified exterior option available as well – stay tuned!). Fire Protection: We offer a fire rated option which provides a full Class-A fire rating throughout the material, allowing for multiple refinishes without ever compromising fire rating. 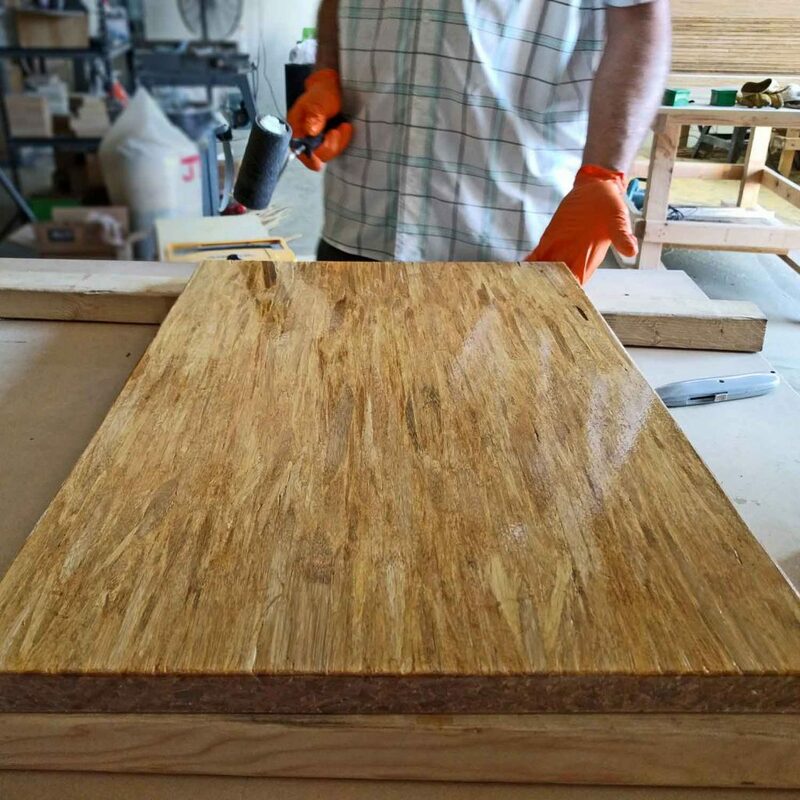 This is one of the many world firsts in engineered wood building materials. Size: standard block size is currently 48″ L x 18″ W x 6″ T (upon further scaling, block can achieve 40′ x 4′ x 1′ dimensions or more). These blocks can then be milled to desired size. The slabs can be joined perfectly along the 48″ length, allowing for virtually unlimited length with completely invisible seams. Ease of Installation: As you would install any wooden counter for kitchens, bar counters etc. Color: Stains and finishes are entirely up to the customer. 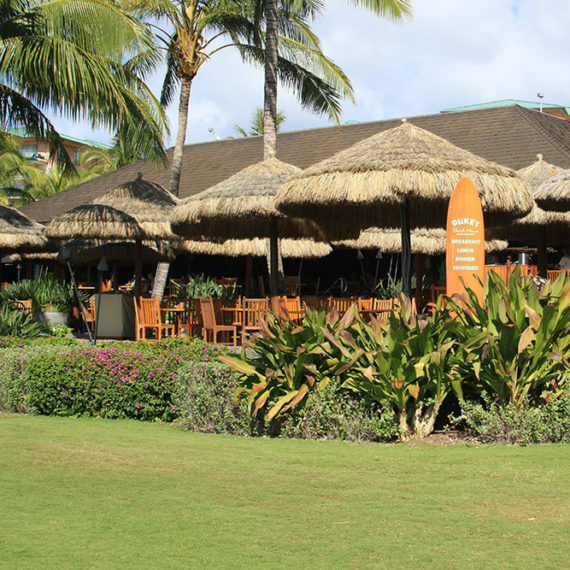 Materials: Guadua Bamboo and either a PF resin (exempt from CARB code of emissions due to such low VOCs) or an NAF (no added formaldehyde) option developed specifically from GRASSBuilt – one of our World-first achievements.